Buying lingerie for the lady in your life can be a daunting task. 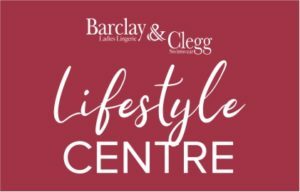 At Barclay & Clegg we realise that while buying lingerie for the lady in your life can be one of the most romantic gestures you could ever do, it can be a daunting task. It is sometimes difficult to know where to start. If you take a look into your partner’s wardrobe, you should be able to spot her favourite colours. This should give you an indication of what colour lingerie she would most like to receive. Your special lady could be easily offended if you bought her briefs that are too big or a bra that is too small, so try and sneak a peek at her size. We will make the task a little easier and spend time with you to help you choose the perfect gift. We know that men do not like to gift wrap, we also know that women feel incredibly spoilt when they receive a beautifully wrapped and presented gift so we will do it for you.